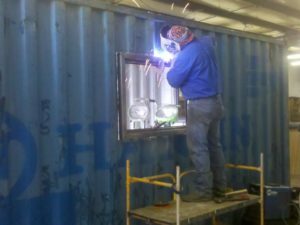 In addition to supplying our clients with a variety of steel cargo containers and office trailers, Storm’s Specialty Services also offers container modifications for our clients. 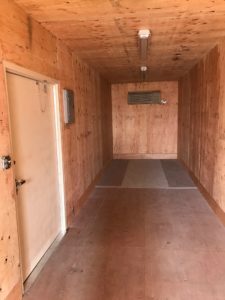 Simply let us know what your project needs, budget and timeframe are. We’ll take it from there. 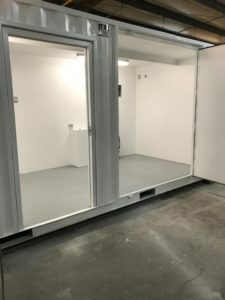 No matter what sized job you have in mind, Storm’s has the flexibility and reliable service you need to ensure your storage container is customized exactly to your specifications. 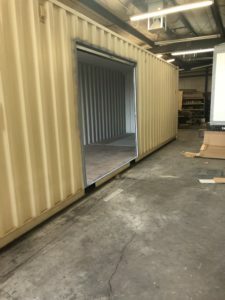 Let Storm’s help convert a storage container to meet your unique requirements. If there is a specific modification you have in mind that is not listed above, don’t hesitate to ask one of our specialists about your idea. 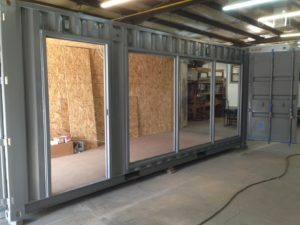 Our team is always willing to work with our clients to ensure they receive the modification they want. 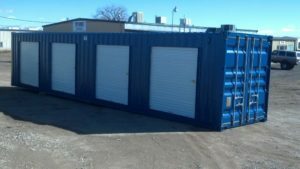 Get a customized storage container that suits your needs today. Please contact us through our web form or give us a call at 970-243-4531.